As there is still recession or at least a period of very slow growth in the Finnish economy, it seems that the fine dining scene is suffering a bit. At the same time there seems to be a lot of new relatively affordable restaurants opened. Which leads me to believe that people are more careful of their spending and this of course is great for the places where you can dine and drink and the bill will still be small enough to “digest” as well. Which brings me to the restaurant called Nom which was opened a while back near Töölölahti and very near the railway station. A place to eat lunch in the day time and enjoy a bit of food and after work as well. As Nom is located in a new building that opened to the customers in 2014 the restaurant space is open, beautiful and spotless. There is a view toward the Music house on the otherside and the railroad to the other. The menu consists of street food style things so there is for example hamburgers and hot dogs which are of course served as you would in a restaurant. Most portions can be ordered in small and normal sizes. Tje prices very competitive. 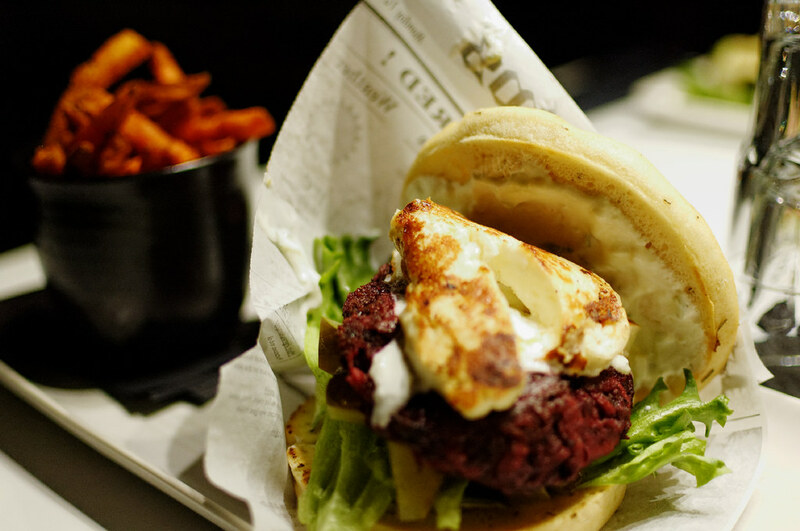 I went to test the beetleroot-halloumi burger (no meat this time). I ordered in the normal size but I would think the small would be great for the ladies. The fillings aa well as the bread were very good and not too wet with mayonnaise. Top marks. 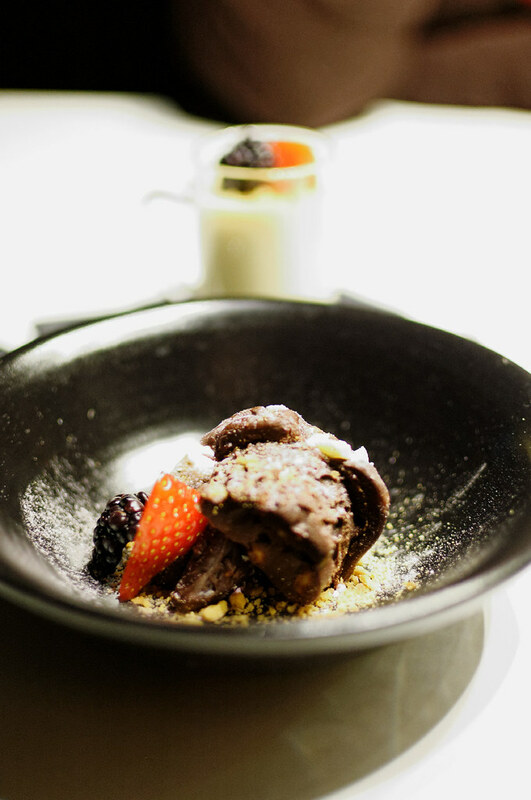 The dessert is a changing affair so you need to ask the waiters. On the day the choice was a pannacotta or rockyroad. For the sake of testing I had both and especially the pannacotta was really good. All in all a very positive feeling and I will visit again.